Aurangazeb was the sixth Mughal Emperor. His reign lasted from 1658 until his death in 1707. He was the governor of Deccan from 1636 to 1644. 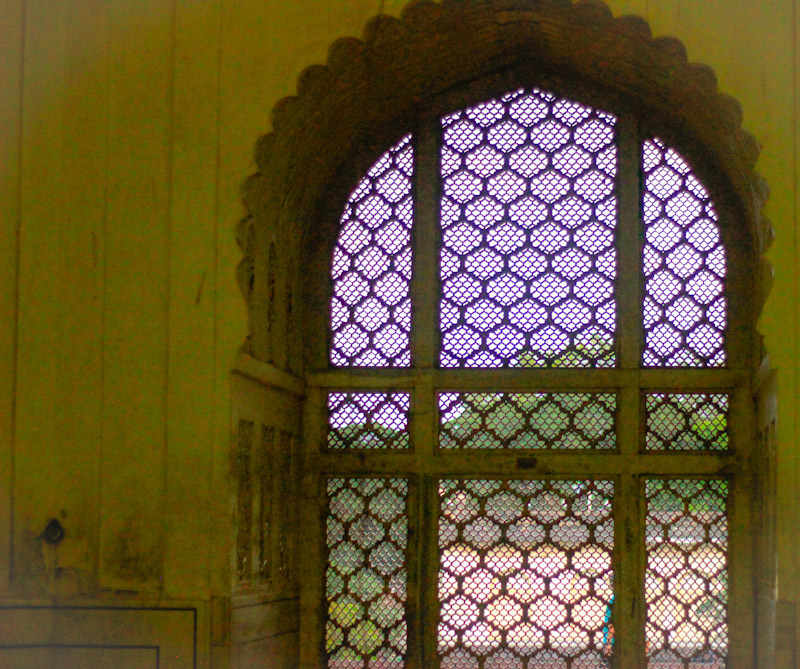 He married Dilras Banu Begum in 1637 in Agra Fort. She was his first wife and favourite consort. Emperor Shah Jehan, Auangazeb’s father, completed construction of the Taj Mahal in 1652. Aurangazeb and Dilras Banu visited Agra in the same year. They were both fascinated by the Taj. 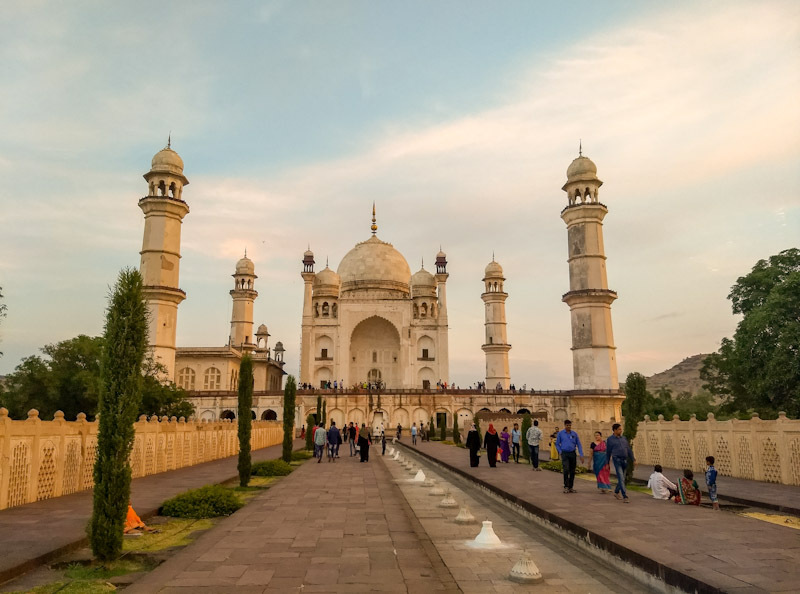 Dilras Banu persuaded Aurangazeb to build a similar monument for her in Aurangabad. 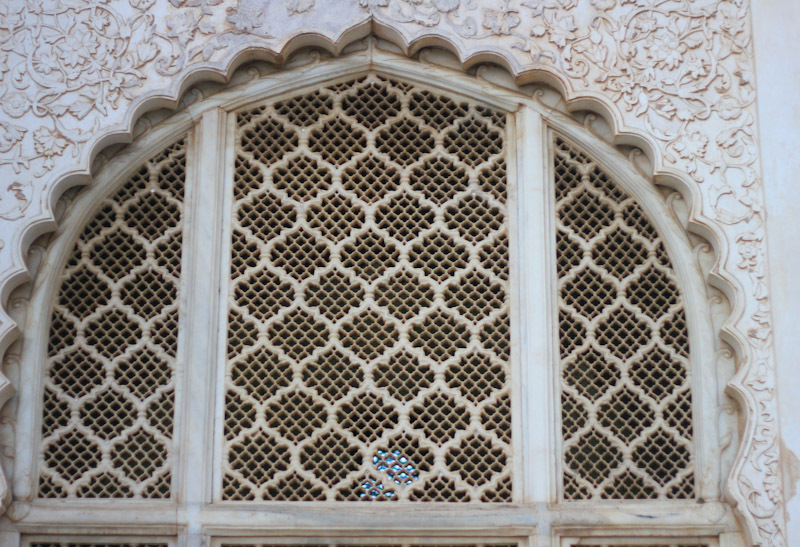 Construction of the maqbara began in 1653. Auangazeb may have completed the construction of Bibi ka Maqbara in 1660. 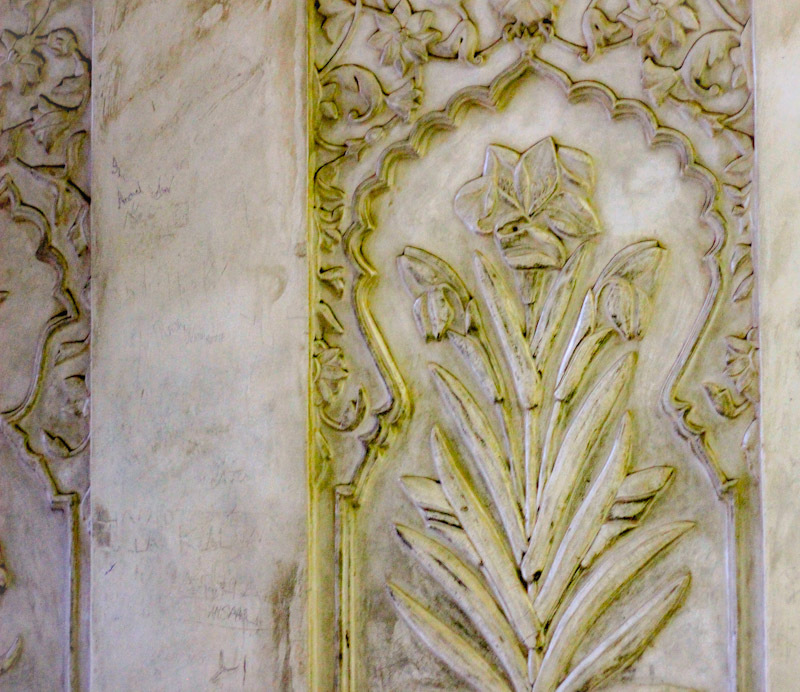 Later Aurangazeb’s son, Mohammed Azam, carried out major renovations of the maqbara. 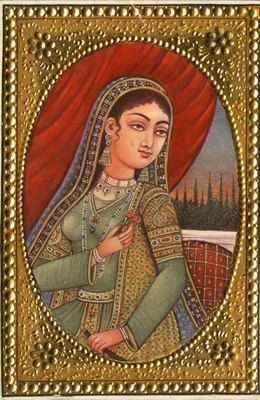 Dilras Banu Begum was a princess of the ruling dynasty of Persia (Iran). During the course of their twenty years of marriage, the imperial couple had five children. She passed away a month after giving birth to her fifth child, Muhammad Akbar. This was a year before Aurangazeb ascended to the throne of the Mughal Empire. Aurangazeb was a zealous Sunni while his begum was an ardent Shia. Dilras Banu Begum was beautiful as well as imperious and haughty. The arrogant nature of Dilras did not cause problems in their marriage. Aurangazeb by all accounts had great admiration and respect for her. She was posthumously given the title of Rabia-ud-Daurraini (modern day Rabia). Rabia Basra was a Muslim saint who lived in Basra, a seaport in southern Iraq. She was the first female Sufi Saint. 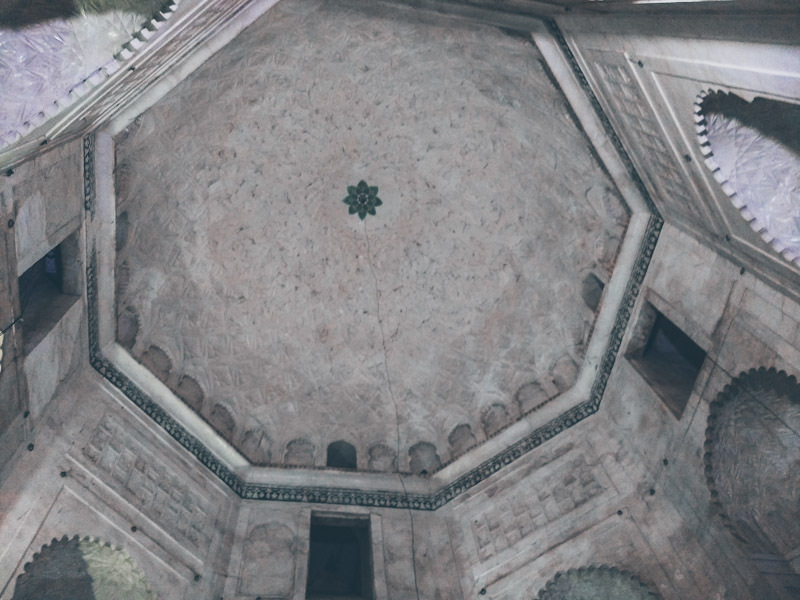 The mausoleum is in a Charbhagh garden. The layout of the garden is based on the four gardens of Paradise which finds a mention in the Quran. Entrance to the monument is from the main gate in the south. There is a shallow pool in front of the entrance. A pathway, with fountains along the middle, leads to the mausoleum. The main structure is on an elevated platform. There is a minaret in each corner of the platform. Visitors climb up through stairs on three sides. The huge dome has a covering of white marble. 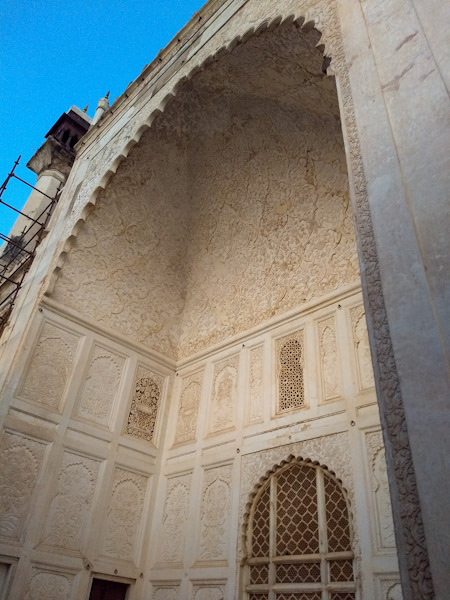 The lower part of the walls has marble covering. The upper portion of the walls is made of basalt stone and covered in fine plaster. 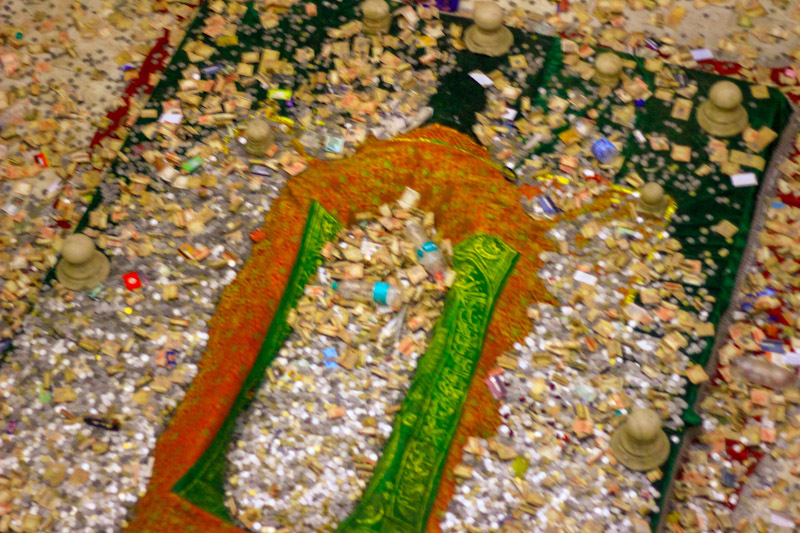 The tomb of Rabia-ud-Daurraini is on the ground floor. 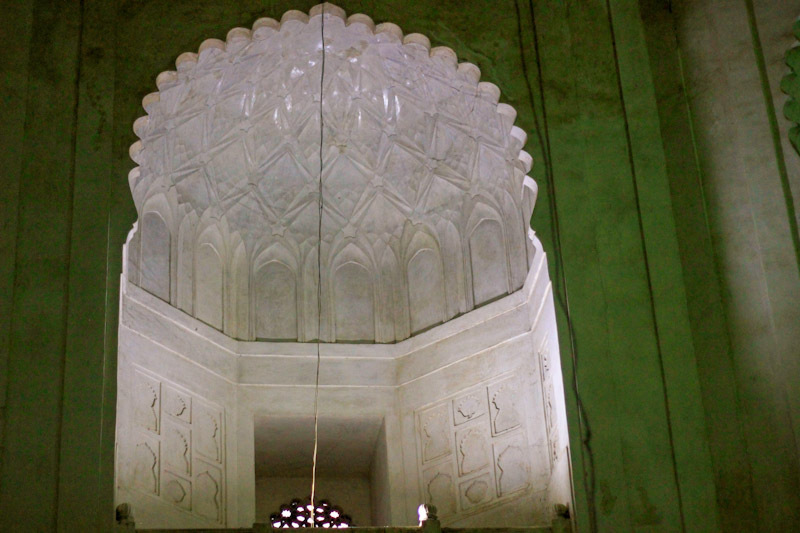 Visitors can look down on the tomb through an octogonal opening in the upper floor. The gardens are beautifully laid out. The main building is in the centre of the garden. 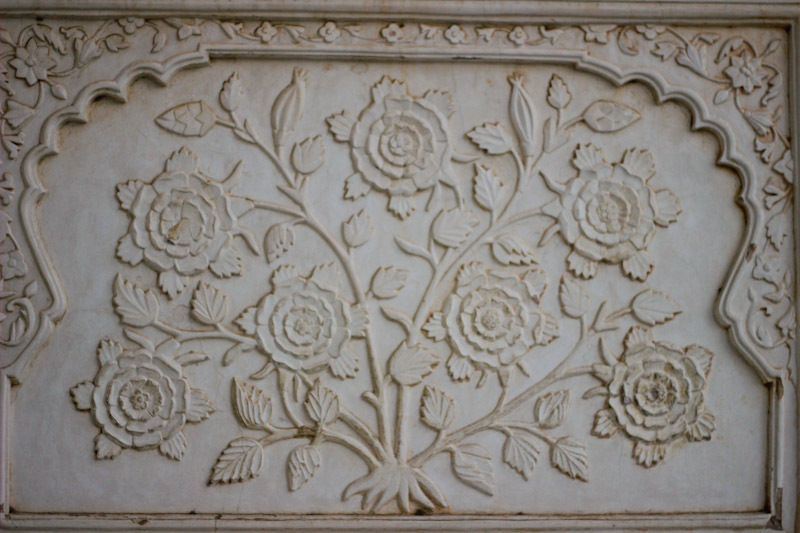 The Charbhagh design of the garden is similar to that of the beautiful gardens in Taj Mahal in Agra and Humayun’s Tomb in Delhi. Cypress, pine, palm, mango and Ashoka trees adorn the garden. You will also notice many types of flowering plants and roses.